Spring is here and things are heating up in Seattle. Here are a few events that are happening in our fair city. 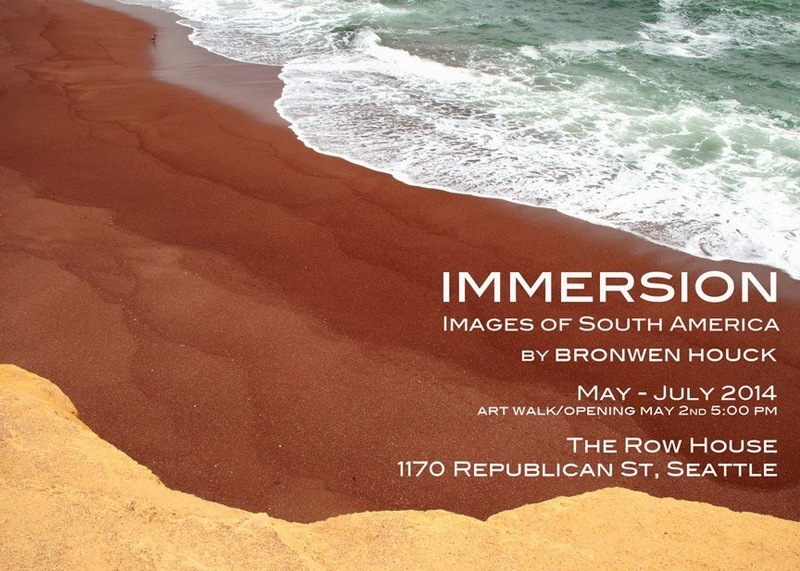 My friend Bronwen is having a showing of her photographs from South America. The grand opening is on Friday May 2, from 5-8pm at the Row House Cafe in South Lake Union. It also coincides with SLU’s quarterly art walk so there will be lots to do and see. Here is a map. The showing extends through July. 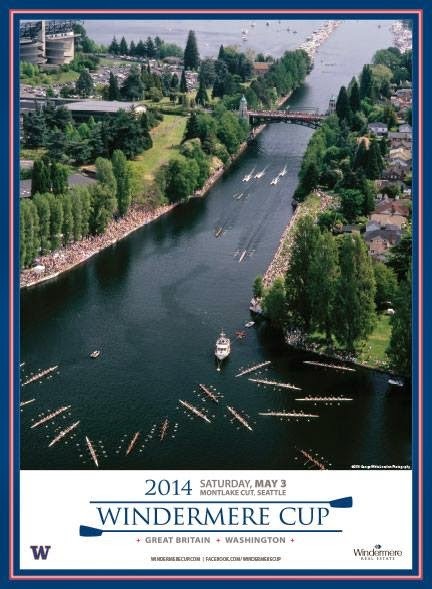 This year the Huskies will be battling it out with Great Britain’s National Team for top honors at the 2014 Windermere Cup at Montlake Cut. This is a great free family event; bring a picnic blanket, lunch, and (being Seattle) your rain gear. Races start at 10:20 and go until 11:45. Windermere Real Estate and the University of Washington are excited to host the Great Britain Rowing Team as the challengers for the 28th annual Windermere Cup Regatta. The regatta is held as part of Seattle’s Opening Day of Boating Season and is followed by the Seattle Yacht Club’s Opening Day Boat Parade. This year’s regatta will include 25 races featuring athletes ages 14-70. More than 800 rowers earn a spot to compete in this prestigious event, which culminates with the women’s and men’s Windermere Cup races. Following the regatta, fans are invited to stick around for one of the largest boat parades in the world with more than 300 boats in 23 classes. The theme of this year’s parade is "Toys Ahoy”. Admission to the event is free. You can watch the regatta from the shores of the Montlake Cut or by boat, with moorage available on a log boom anchored in Lake Washington on either side of the race course. We usually park ourselves down by the finish line on the north side of the Cut. The bridge is closed to car traffic and is another prime viewing location. Just be sure you’re on the same side as your car after the races end because the bridge goes up for several hours afterwards to allow the sailboats participating in the parade to zip through. It’s a looong walk around. This is they Husky’s biggest and grandest home event; this own this slice of water and defend it at all costs. That said: GB’s NATIONAL TEAM, yo! As in: the team that cleaned up at the London Olympics. This promises to be one hell of a race. The most parking is available on the north (U of Washington) side near the stadium and is about $10-$15. Bring your walking shoes and a sturdy stroller. A BOB is perfect for this. And, unless your dog is incredibly friendly and used to giants crowds, leave Fido at home. Get there early to stake out your patch o’ grass near the finish line. The ‘big’ UW races are at the end but the junior and senior races beforehand are also a hoot. And, chances are if you live in Seattle, you know a rower. Show ‘em a little love, peeps. 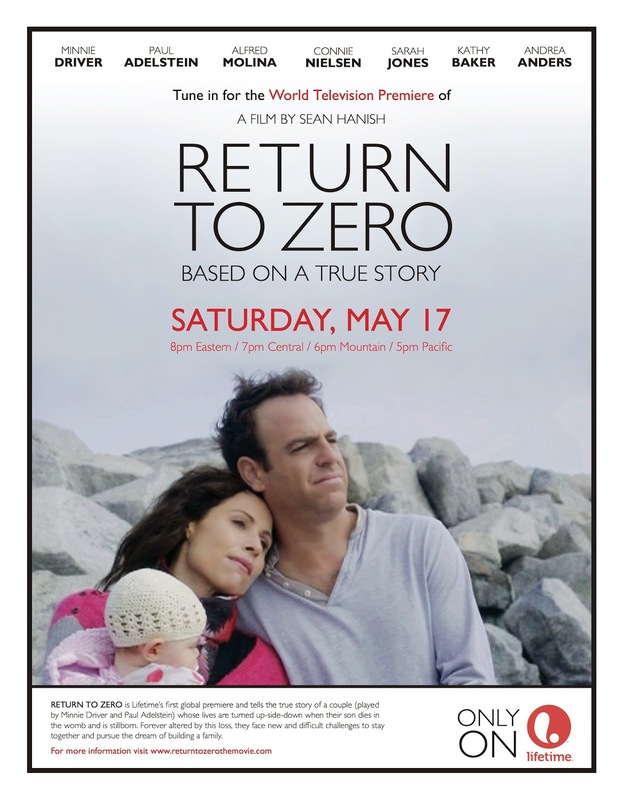 My dear friend Jennie recently sent me a link to the movie Return to Zero coming out on the Lifetime channel on Saturday, May 17th at 5pm PST. Maggie and Aaron attempt to go on with their lives but cannot escape their postpartum grief. Their lives and relationship have been forever altered by this loss. They try to cope in a myriad of ways — through denial, escape, and alcohol — but when Maggie ultimately discovers that Aaron is having an affair with a co-worker, she decides to end the marriage. Just when Maggie believes she has started a new life, she discovers that she is pregnant by Aaron (from a last ditch ‘this will save the marriage’ getaway to Vegas.) With the help of an empathetic doctor who experienced a similar loss years ago, Maggie finally grieves for the loss of her son. Then she and Aaron must reunite to face a turbulent and terrifying pregnancy. "It is our sincere hope that the international release of Return to Zero will help break the silence surrounding still birth and help find answers. Thank you all for your support now and 11 years ago. We hope to honor our precious niece, Emily, in all we do. This one is definitely going on our ‘must see’ list.